On November 19-20, 2013, First Nations Development Institute (First Nations) met with faculty and staff from the Native American Youth and Family Center (NAYA) in Portland, Oregon. 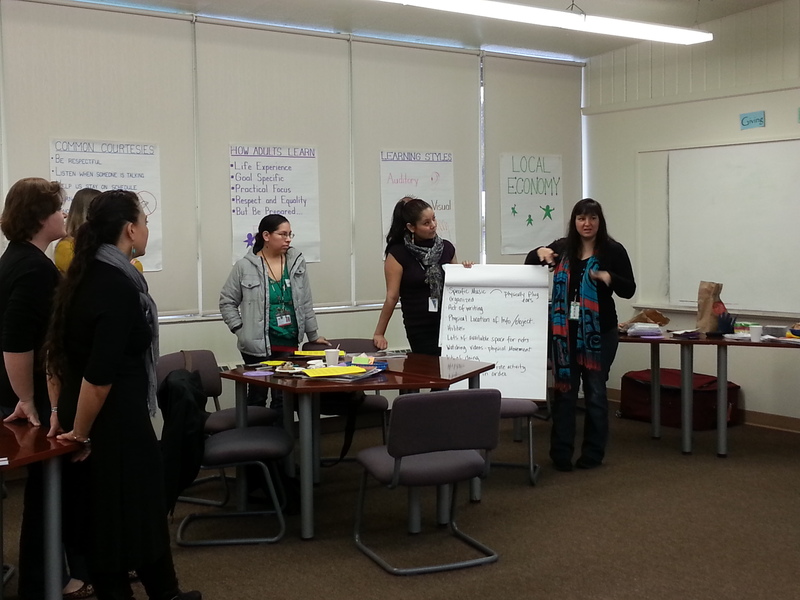 With generous funding from the Paul G. Allen Family Foundation and the Bill and Melinda Gates Foundation, First Nations and NAYA recently forged a partnership to offer financial literacy courses with a strong experiential learning component to empower Native American high school students at NAYA’s Early College Academy. NAYA’s Early College Academy is a small, private school managed by NAYA that nourishes a hands-on, culturally relevant, student-centered learning environment. The academy offers a blended high school and post-secondary curriculum for 9th to 12th graders aged 14 to 20. The site visit kicked off an innovative and culturally relevant youth financial education course, and enables First Nations to offer financial literacy training to 21 NAYA faculty and staff. First Nations facilitated a two-day Train-the-Trainer event utilizing the Building Native Communities: Financial Skills for Families educational workbook. All faculty and staff who participated in the event were certified to teach financial literacy. The goal of the training was to prepare NAYA faculty to teach the course to youth over the 2014-2015 school year and to enable NAYA faculty and staff to collaborate in tailoring the class for their high school youth. The relationship between NAYA and First Nations on this project will culminate in offering the “Life on Your Terms” Native youth financial literacy course to the students and taking a field trip to a participating bank or credit union to sign up for a Youth Savings Account (YSA). Those who complete the course with a passing grade will be entered into a drawing to earn an additional $100 to deposit into their account. The students also will participate in a financial simulation fair called “Crazy Cash City” that will help them put the lessons learned in class into practice in an experiential setting. By the end of the grant period, an online teacher’s guide for the curriculum will be completed and then made available nationally to teachers of Native American students. Financial and investor education is one of the five focus areas of First Nations. First Nations and its independent subsidiary – First Nations Oweesta Corporation (a community development financial institution) – work in partnership with Native American tribes and communities throughout the U.S. to assist them in designing and administering financial and investor education programs. These projects range from helping individuals and families understand the basics of financial management – opening and maintaining a bank account and using credit wisely – to helping individuals understand financial markets and a variety of financial instruments for borrowing and saving. The programs result in increased investment levels and economic growth in Native communities. 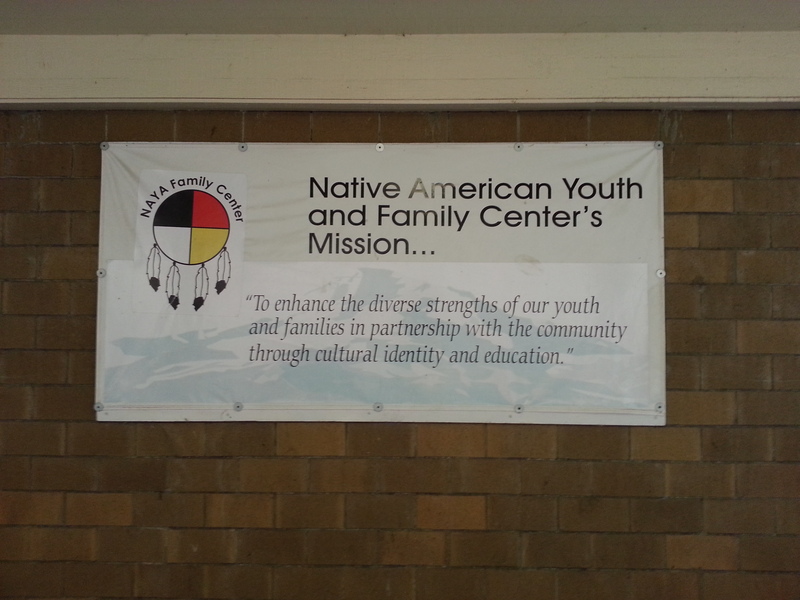 The Native American Youth and Family Center in Portland works to enrich the lives of Native youth and families through education, community involvement and culturally specific programming. 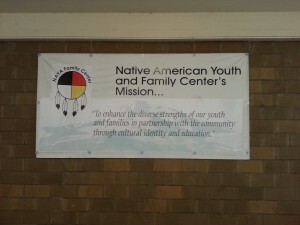 It has provided educational services, cultural arts programming, and direct support to reduce poverty in the Portland metropolitan area’s American Indian and Alaska Native community for more than 30 years.